It’s no secret that as we age, parts of our bodies stop performing as well as they used to. But that doesn’t mean you should write off a loss of ability as, “just part of getting older.” Quite the contrary, there’s often much you can do if you recognize the early warning signs and take action. Such is the case with the vision loss that accompanies age-related macular degeneration (ARMD). ARMD is a breakdown of the macula, the part of the eye that helps you see fine details. The exact cause of the condition isn't known, but as indicated by the name, age-related macular degeneration typically affects people more as they get older. Some patients experience symptoms in their 50s and 60s, and the likelihood increases dramatically as people enter their 70s and 80s. ARMD usually produces symptoms slowly. Your vision blurs over time, particularly when trying to focus on things close up. You may find you need more light for reading, or can’t quite make out the writing on a medicine bottle. Straight lines may also appear distorted and/or wavy. These symptoms continually get worse. If you notice a blurred area or dark spot in the center of your vision, age-related macular degeneration may be to blame. Shadowy sections in the middle of your focal area are a strong indicator of ARMD. In some cases, the condition can also produce a whited-out area in your vision. If you’re 50 or older, it’s a good idea to have a comprehensive eye exam every 2-4 years, and with increasing frequency as you age, to help detect vision problems including ARMD. Your eye doctor can often detect early signs of macular degeneration before you experience symptoms. While ARMD cannot be cured, when diagnosed early, you may be able to slow the progress of the condition by making smart lifestyle choices, so it’s important to watch for the warning signs, and see your eye doctor if you have any reason for concern. At North Florida Cataract Specialists and Vision Care, our physicians and staff diagnose a wide variety of vision issues, including ARMD. Contact us today at 352-373-4300 to schedule an appointment. 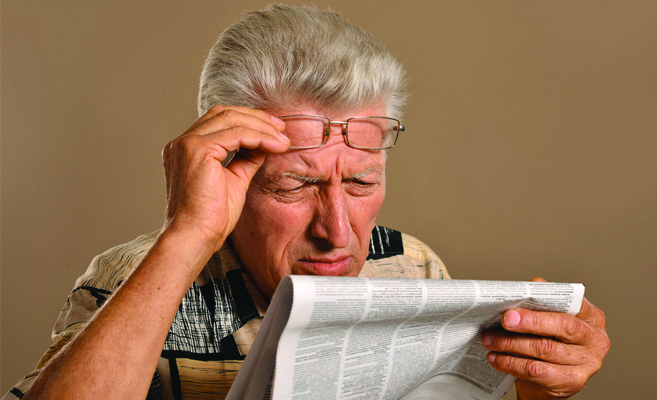 Cataracts are a common vision problem, particularly among senior citizens. 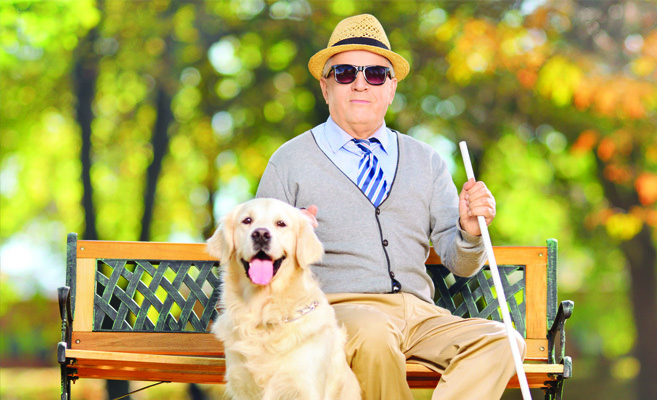 By age 75, approximately half of all Americans have cataracts. Diagnosis by an ophthalmologist or an optometrist is a fairly simple procedure, requiring little more than a verbal review of your symptoms followed by a standard eye exam. This is the test most people associate with a visit to the eye doctor. 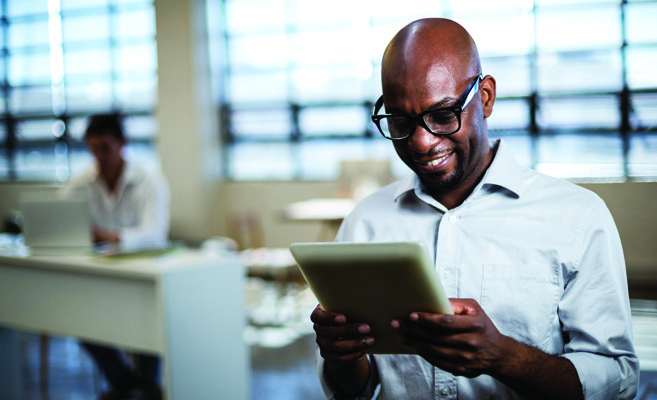 You’ll be asked to recite the letters on a chart to evaluate the sharpness and clarity of your vision. Your eyes are tested one at a time to identify signs of impairment. A slit-lamp provides your eye doctor a magnified view of your lens, iris, cornea and the other structures at the front of your eye. This specialized lamp uses an intense slit of light to show these structures in small sections, making it easier to detect tiny irregularities. For the retinal exam, the doctor will use eye drops to dilate (open wide) your pupils. This allows the doctor a better view of the retina in the back of your eye. 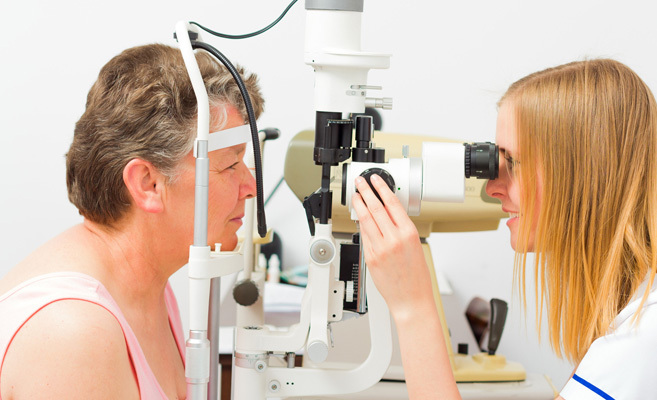 Using a slit lamp or ophthalmoscope, the physician inspects the retina for signs of cataracts. If, at the conclusion of this exam, your eye doctor diagnoses you with cataracts, you will move into a discussion of treatment options and timing. If symptoms are not yet interfering with your quality of life, your doctor may suggest holding off for a while. If it is time for treatment, surgery is your only option. Cataracts cannot be treated with medicine or non-invasive therapy. 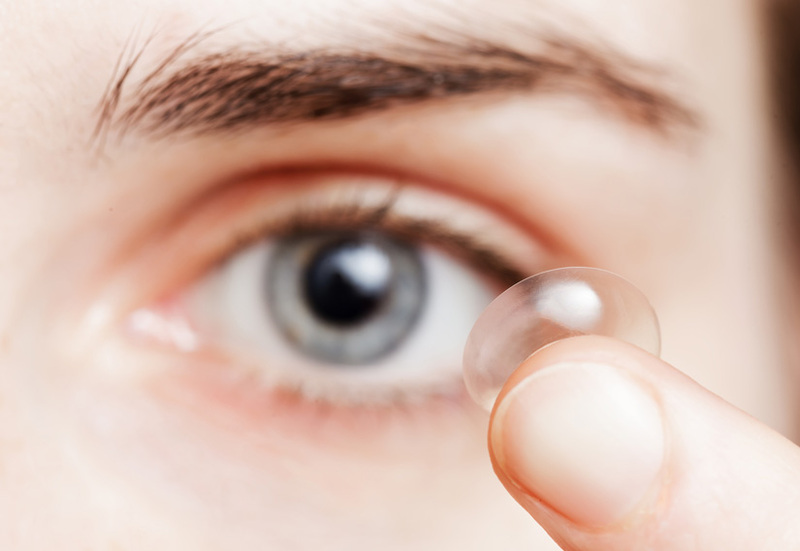 Surgery is required to remove the affected lens and replace it with an intraocular lens implant. Many patients today opt for the precision, pain-free results and quick recovery of laser-assisted cataract surgery. North Florida Cataract Specialists and Vision Care ophthalmologist Dr. Gregory Snodgrass was the first local eye physician to use the state-of-the-art LenSx® laser cataract system. He has performed more than 20,000 cataract surgeries and is renowned as a top eye surgeon. To schedule your cataract evaluation, contact our practice today at 352-373-4300. Children aren’t likely to tell you if they’re experiencing vision problems. If they’ve dealt with these issues their whole lives, they may not even realize their vision is abnormal. That makes it imperative for you to watch out for the warning signs of potential vision challenges, and include regular eye exams as part of your child’s medical routine. Covering one eye is likely your child’s way of trying to eliminate the blurred vision of one eye from impacting the other eye. It could also be an attempt to adjust for misalignment of the eyes. Likewise, tilting the head may be done to change the angle of vision in order to compensate for eye alignment issues such as amblyopia, also known as lazy eye, which impacts 2-3% of children. Squinting is a subconscious attempt to improve visual focus. Your child may not even be aware they’re doing it. It’s often a sign of a refractive error such as myopia (nearsightedness), hyperopia (farsightedness) and astigmatism, all of which result in blurred vision. Squinting may allow your child to temporarily improve focus, but it does more harm than good. Sitting too close to the TV or holding books or handheld devices close to the face could be an indication your child has difficulty seeing clearly when things are farther away. This could be the result of myopia (nearsightedness). Roughly 30% of Americans are affected by myopia. Some parents misdiagnose vision problems as ADHD, as the symptoms can sometimes be similar. Children with vision challenges often have difficulty concentrating because they can’t see the necessary content in order to follow along. For children with vision problems, switching from textbook to chalkboard in the classroom can cause both frustration and physical discomfort. Headaches and eye pain can be triggered by any number of factors, including in some cases, vision problems. Frequent after-school headaches or headaches after reading could be an indication of asthenopia, commonly known as eye strain. 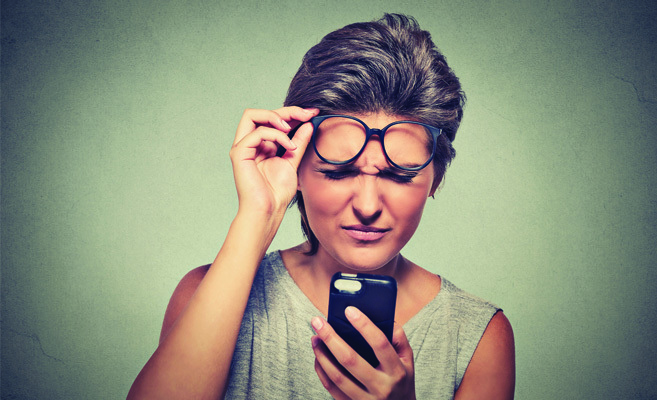 This could be the result of an eye muscle imbalance or it could point to the need for glasses to correct nearsightedness, farsightedness or astigmatism. 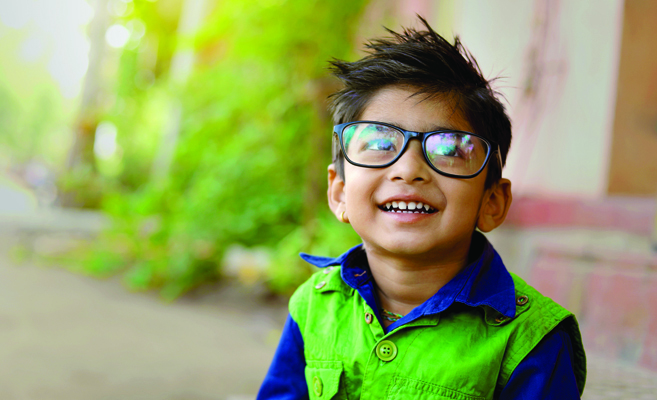 Early diagnosis of vision problems is critical for improving your child’s overall quality of life, in the classroom and beyond. Even without symptoms, the Mayo Clinic recommends a comprehensive eye exam between the ages of three and five. If everything is clear, follow up with exams every one to two years throughout adolescence. To schedule your child’s comprehensive eye exam, contact North Florida Cataract Specialists and Vision Care today at 352-373-4300. Some people can be pretty sensitive about the possibility of vision loss. They may see it as a sign of aging, a clear indication they’re not as young as they used to be. In some cases, this can lead to denial, and lack of treatment. Failure to address vision loss, however, robs your loved one of precious moments, and can lead to frustrations for everyone around. 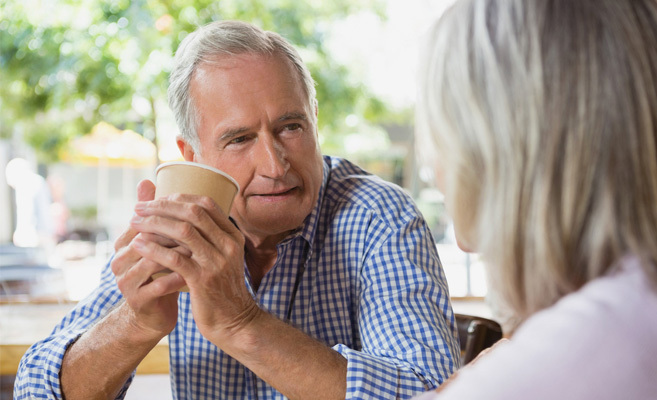 If you notice signs of vision loss in a loved one, try these tips to gently encourage him to schedule an eye exam. Even if you don’t have any discernable signs of vision loss, regular eye exams should be part of your healthcare regimen. Scheduling your own eye exam will provide a good opportunity to bring up the topic of eye care with your loved one. Consider inviting him along for your exam. Seeing firsthand what’s involved with the exam and how friendly and professional the environment is may help to overcome some roadblocks. If ego is part of what’s preventing your loved one from admitting his likely vision problems, try using that to your advantage. Casually comment about how handsome you think certain glasses-wearing celebrities are on TV and in movies. When you’re out together, compliment friends and acquaintances on their eyeglasses, and suggest how dapper your loved one might look in a similar pair. Don’t be disingenuous, just point out that many people truly look great in a fashionable pair of eyeglasses. A frank, yet compassionate, expression of your concern may ultimately have the biggest impact. Start by telling him how thankful you are to have him in your life. Then, specify the warning signs that lead you to believe a comprehensive eye exam could be worthwhile. 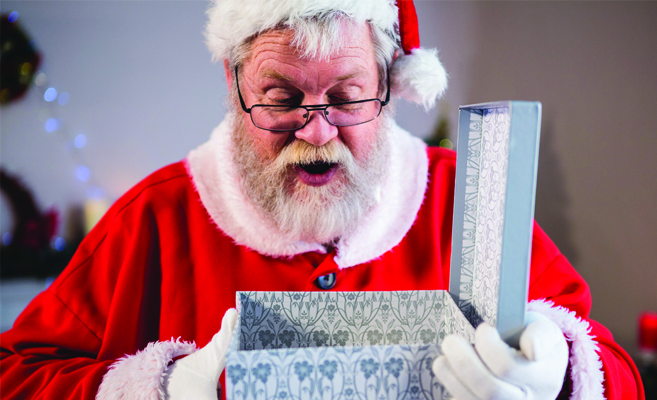 If your loved one doesn’t relent at this point, let it go…for a while. Revisit the topic in a few weeks, with the same compassion. Eventually, he will either concede and schedule an exam, or sadly, he’ll continue missing out on some of the best things in life. At the end of the day, it’s his vision and his choice. When the time does come to schedule a comprehensive eye exam, we hope you will consider North Florida Cataract Specialists and Vision Care. Our talented eye care team will take great care of your loved one and provide a treatment plan that helps bring the world back into focus. Contact us today at 352-373-4300.